…an exotic blend of roasted almonds, sesame seeds and middle-eastern spices. This product is where the story of Thistle Be Good begins. 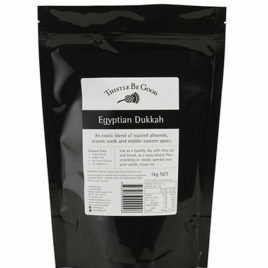 I have been making Dukkah since the very beginning, in 2002. It is our biggest seller product of ALL the ranges and we have the recipe absolutely perfect! You can try others but everyone always returns to ours; I am very proud of it! 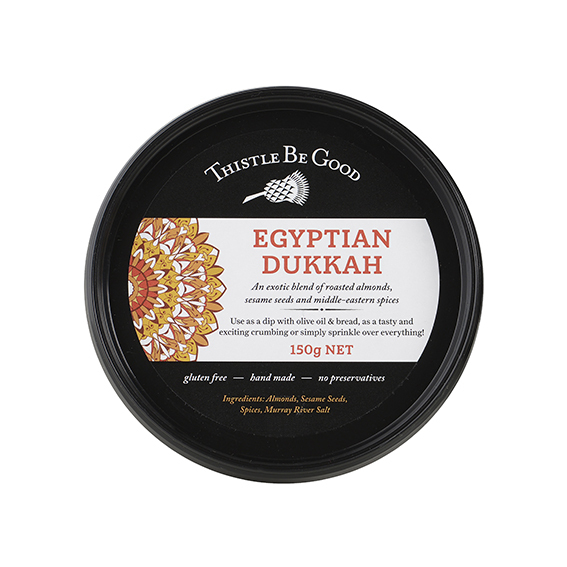 Use traditionally by dipping crusty bread into olive oil then into dukkah as a healthy dip or use as a Gluten Free crumbing. I lightly crumb chicken or fish, then shallow fry and either eat it as a main meal, or sliced up in a wrap with a big salad. 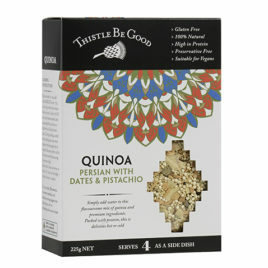 …… an exotic blend of roasted almonds, sesame seeds and middle-eastern spices. 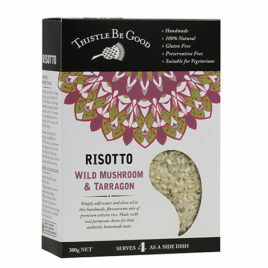 This product is where the story of Thistle Be Good begins. I have been making Dukkah since the very beginning, in 2002. It is our biggest seller product of ALL the ranges and we have the recipe absolutely perfect! You can try others but everyone always returns to ours; I am very proud of it! 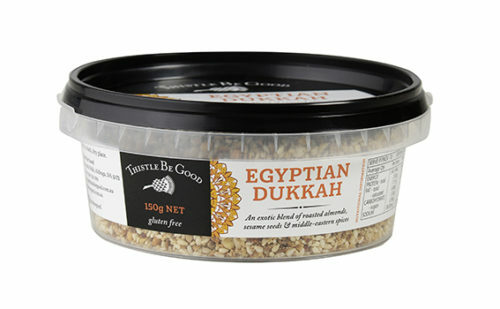 Use traditionally by dipping crusty bread into olive oil then into dukkah as a healthy dip or use as a Gluten Free crumbing. I lightly crumb chicken or fish, then shallow fry and either eat it as a main meal, or sliced up in a wrap with a big salad. 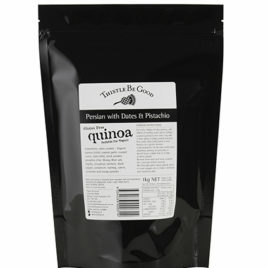 Our biggest selling quinoa! Yes, it is Gluten Free, and people love to mix it through a big green salad and I love to add goats curd cheese (chevre) – oh my, is it time for lunch yet? !